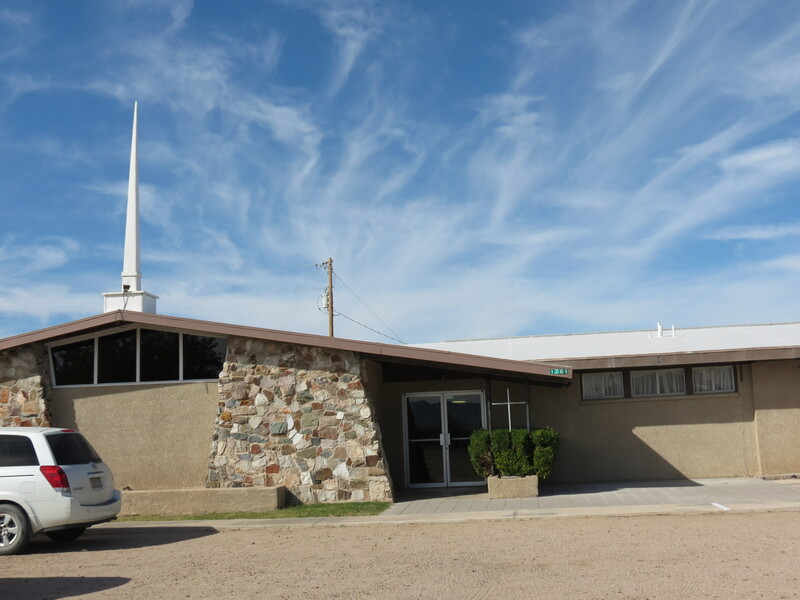 Since I covered Tombstone and Fairbanks in previous posts, I decided to skit to The Willcox Church of the Nazarene. For those who have been following my blog for sometime, you all know that at heart I am a Christian that was saved and had a life changed because of the Nazarene Church in this little once one red light town. My sister Joyce, Lisa and myself went to church and it is very hard to describe that feeling of coming home. When I walk into that little church in Willcox, I am taken back to when I was a teenager struggling with all kinds of things. I don’t want to really go into those things. But they are difficult and things that have long ago been forgiven. 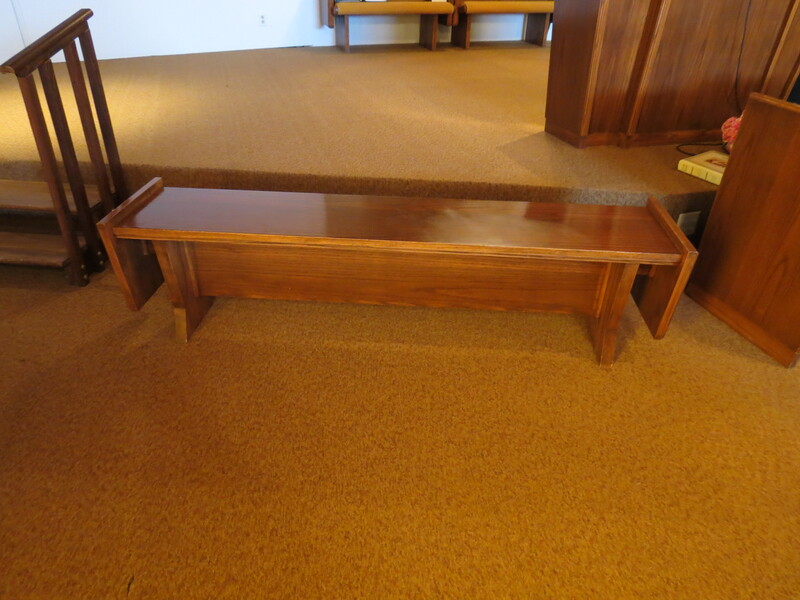 The alter I spent many moments at in prayer. You can tell where the varnish is gone that many others have too. When we first drove into the parking lot, we were a bit early. So we went over to Pastor Harry and Dixie’s house. They have lived in the house that is next to the church ever since I can remember. They weren’t going to church on this Sunday since Dixie has many health issues. Even though she has her problems, she is set up in her chair, with her Bible and they are getting ready to have church in their home with each other. I would hang out at their house a lot since things were calmer there and their daughter Diana was a good friend of mine. I would say back then she was my best friend. We would sing duets together and go on outings and such. There was a sense of calm and peace when I went over there. It was because of the Myers that I realized that my family life wasn’t normal. I loved my parents, but peace and normalcy was far from what my childhood was like. There came a point when I decided that I needed different role models and I used the Myers family as my role model. It was in this little church that I got baptized. I wanted to be baptized for years and years, but I finally turned 14 and I was eagerly waiting for it. For me that was the most important thing in my life. I knew without a doubt that Jesus Christ is my Lord and Savior. I knew He died for my many sins. When I was finally baptized officially, I was relieved. At that point, even though I lived where I did, I knew there was someplace else I belonged. I do want to bring up sweet Maddie Bennett. She has passed away, but there is no way to go back to this church and those I cared so much about without thinking of Maddie. 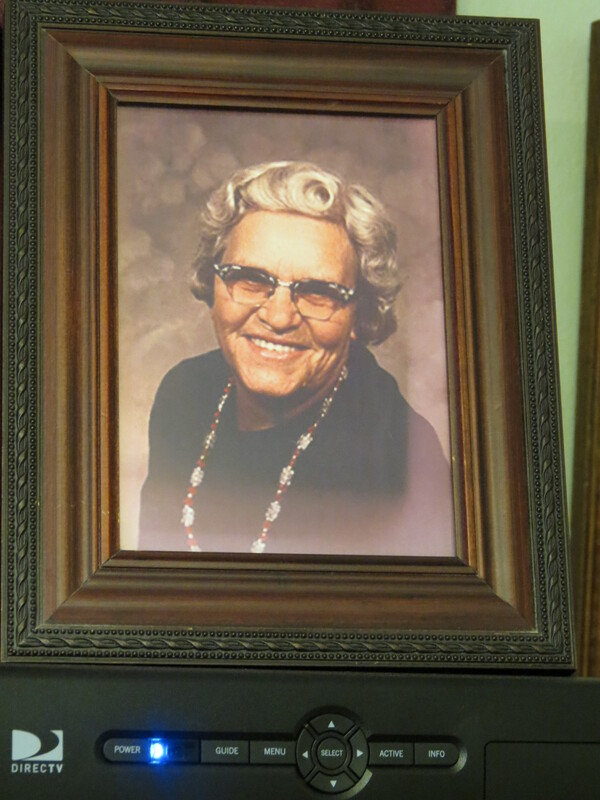 She was ornery and sweet at the same time. It is because of her that I write poetry and put my thoughts into words. They became a way of working through my thoughts, even when I never shared them with anyone. There were many times I would go out to Maddie and Dinks home. She is one person I can’t wait to see when I get to Heaven. After we left Harry and Dixies home, we went to church. Lisa felt at home right away. Some of the same people are still there after 30 yrs. There was this sweet little lady that came up to me. She was frail and needing help from her daughter. She looked at me and told me, ” I think I remember you, but not sure why”, I kinda chuckled under my breath when she said that. You see, this little lady is Mrs Carter. She and her husband owned Carters Drive In. I use to work for her years ago. Then she said, ” I knew I knew you, lol”. There was one particular couple that did bring a bit of sadness to my heart and that is because I went to school with their sons. Brian Addington was in my grade, but he had an older brother named Steve. I remember the battle that Steve was going through. He was the first person I ever knew that had cancer. Other kids got cancer and weird sicknesses in school, but with Steve it was real. He did end up dying. When his parents came up to me, it took me back to those times and the fears of them loosing Steve. I have wondered over the years how the Addingtons were doing. I guess they are living in the same house. Church finally started and the sermon was perfect. It was a sermon that my sister Joyce needed to hear. It was on how things happen to us and how those things are in the past. Don’t let them hold you hostage or keep you from being who you are meant to be. We need to forgive others and love others as Christ loved us. She came to church with a lot of heart ache and I pray she was able to get something out of the message. Now, me, I was trying to figure out how to take the alter home with me. As I sat there listening to the sermon, the things that came to mind was my past too. But they were things like how many hours I spent on my knees praying during our Weds night services. I thought about the revival where Cheryl stood up in the pew I was sitting in and shared her greatest fear of not sharing the Gospel with others and standing before God. She is asked what she did for Him, and she said. Then her friend behind her never heard the truth. This testimony became real to me. It’s because of this that everyone gets to hear the Good News. In that little church many lives were changed. Mine was just one of those lives. I will always think about my times there because God sent me there when I needed them the most. He knew I would find the one and true God. I always knew God, but I seen God in the lives of these people and my friends. When I think of being Christlike, I think of those in this little church and in my church now. I love my church here in St. George too. 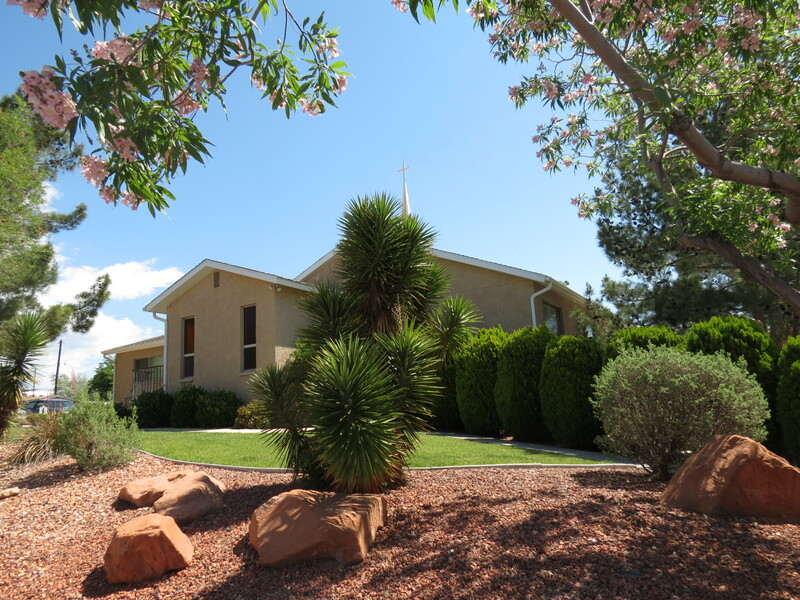 I think I picked out St. George Community Church because it reminded me so much of my little church. It was like coming home. They are a big family that shows love, kindness and sometimes a bit ornery too, lol. But the one think all will notice is that they are filled with the Love of Christ. They are awesome examples of how God can change lives and how He is ALIVE in all of us. All you have to do is accept Jesus Christ as your personal Savior. It isn’t too late.